At Monash University Malaysia’s School of Information Technology, students can expect more interactive and engaging classes as more lecturers begin to use mobile technologies in their teaching. Senior lecturer Dr Chew Esyin said academics from the School were now encouraged to incorporate various forms of technologies into their teaching to improve the learning process. “Generally students feel that there was a lack of formative feedback from the teaching staff to the students’ work. There are currently lots’ of research and teaching initiatives to provide richer assessment and feedback. I think that is the similar case in Malaysia. We need to move away from that kind of ticking- and grading-only culture to enhance our students’ learning experience,” she said. Dr Chew, who is a technology-enhance learning, teaching and assessment researcher, said one of the learning technologies used at the School was the Personal Response System (PRS). “It allows us to pose questions to our students and receive immediate responses from the entire class. We are able to see how many students in a class have responded to a question and from there, we can gauge their understanding and how well the class performs. PRS can be used for competition as well, it creates fun teaching session and motivates students to learn challenging topics together,” she said. Both clickers and Socrative collect feedback from students and tabulate the results of these responses immediately, which the lecturer can view, assess and feed-forward to the feedback. Dr Chew said students were often asked multiple-choice or open questions that would prompt critical thinking during these sessions. “There are no fixed answers to these questions and the responses from the class can be varied, which always leads us to a lively class discussion that stimulates the students’ thinking,” she said. She said there had been much positive feedback from students who had experienced such seamless teaching method. “Students find the learning process more interactive, stimulating, engaging and gives more meaning to our classes,” she said. Dr Chew said the School also encouraged students to use other technology like ScreenBeam to share students’ work seamlessly and Turnitin to do originality check for their written projects. 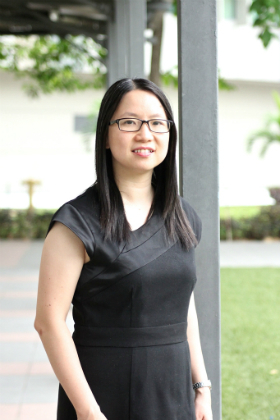 In her research on Online assessment and feedback (Turnitin, Grademark and Peermark), Dr Chew found that Turnitin enabled students to conduct self-service and independent learning through the pedagogical use of the originality report. “Previously, tool like Turnitin was mainly used by academics as policing tool to check against plagiarism but these days, we want our students taking the initiative to utilise it so that they can improve on their assignments and other projects, including their thesis,” she said. Dr Chew said even academics could benefit from the use of such technology. She hopes that in the near future, Grademark and Peermark, two other features under Turnitin will also be used at Monash Malaysia. Grademark is an online marking system for academics while Peermark allows students to read, review and evaluate the papers submitted by their classmates. “With tools like Grademark, an environmental-friendly paperless marking system, academics can provide richer feedback to students. “On the other hand, Peermark will help students to learn a subject from a fresh perspective when they read other people’s work and the comments on their papers using the same assessment criteria,” she said.